We sell lean grass-fed dry aged "Naturally Better Beef"
WHO'S BEEF WOULD YOU RATHER EAT? 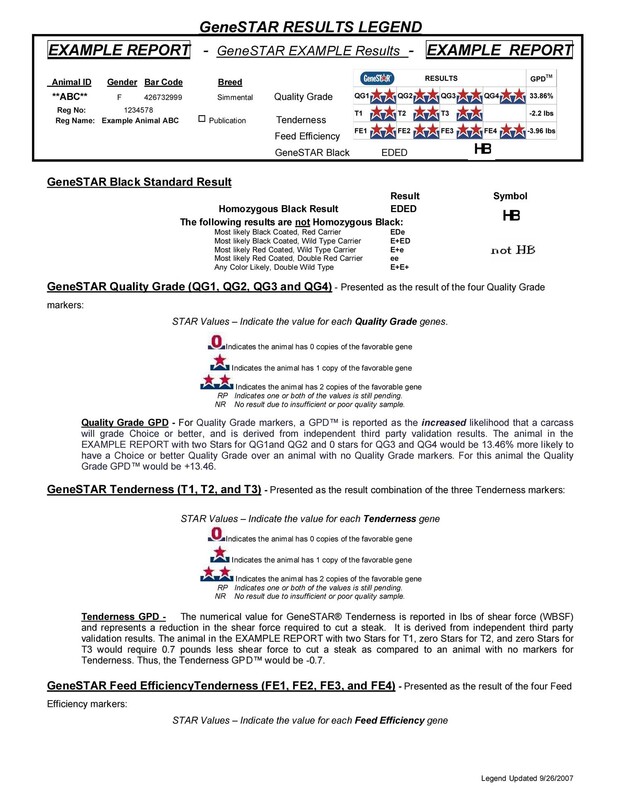 Our Dry Aged Gourmet Texas HFW Beef™ has no growth hormones or antibiotics added. HFW Beef™ cattle are grass-fed from start to finish. HFW Beef ™ is Dry-Aged instead of wet-aged. This concentrates that good beefy flavor. We sell by 1/4, 1/2, & whole steer. Priced per pound by hanging weight (dressed, hot). Call orE-mail for information on availability, current price per lb., and deposit amounts. First come first serve. We sell Premium Natural Grass-Fed Texas Dry Aged beef. 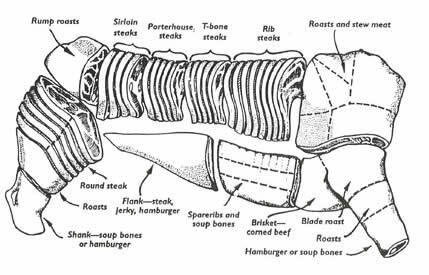 Flavor and tenderness have long been the standard in judging beef. That is what you get with HFW™ gourmet Texas beef. People are now concerned about the growth hormones injected to get the animals to gain weight fast and antibiotics that are given to keep the cattle healthy while being fed in the feed lots. We have elected not to go that route. We have elected to provide naturally raised beef from open free range pastures not given growth hormones to speed up their weight gain. We do not have to give them antibiotics to keep them healthy because our animals are not couped up in pens to feed them grains. If we do have an animal that needs antibiotic, it is removed from our beef program and marked as auction sale animals. HFW Beef™ packages are from animals that we raise and finish out. Large packing houses buy large lots of animals and process them as a group. There is no telling how many different animals are in the packages of hamburger meat or steaks. You don't have to worry about where your beef came from when you buy Dry Aged Premium Gourmet HFW Beef™. All your meat comes from a single animal. You wouldn't believe some of the cows that I have seen at the auctions. They are sold to make hamburger out of the whole cow before they fall over dead. The rancher wants to get something for the animal and you can't blame him for that so he takes them to the auction. The meat buyers don't care about the condition of the cow because it is going to be burger and there is definitely a market for that. But I bet you don't think of that when you are shopping for hamburger in the grocery store or stop by for a Mickey D's do you? You know where your beef comes from when you purchase Premium Gourmet HFW™ Beef packages. You know that they haven't been fed copious amounts of corn laced with antibiotics to keep them healthy while they were in a feed lot or given growth hormones to speed up weight gain. Nor will you be concerned that you are eating meat from several different animals from all over the country when you are enjoying that tender juicy HFW hamburger. HFW Beef comes from animals born and raised on our ranch; a closed ranch system. The Murray Grey is our breed of choice. They are medium framed cows that will grow to a mature weight faster than a larger framed cow, such as those used in feed lot operations. Murray Grey's finish well on grass, but more importantly to you, have a good meat to bone ratio, which means more of the weight you pay for is meat, not bone. Our beef cattle are all naturally raised and are finished on grass as opposed to grain. Reports show Grass-fed beef to be higher in Omega-3 fatty acid (See grass fed beef health benefits) and in conjugated linoleic acid (CLA) than grain-fed beef. Omega-3's and CLA's have been reported to aid in the human immune system in fighting off cancers and other diseases. Reports show these benefits are greatly diminished when an animal is finished on grain instead of grass. This is an interesting report; you should take the time to read it. Did know that just because it says ORGANIC BEEF doesn't mean that the animal has been finished on organic fields? It can be advertised as Organic and be finished out on Organic grains, such as corn as long as the corn was raised Organically. If this is done, you defeat the purpose of paying extra money if the ratio is thrown off in the last 60 days of fattening the the animal. As seen in the above reports, when an animal is finished out on grains, whether Organic or not, you change the Omega-3 and 6 ratio. This is why we have chosen to not only raise our animals on grass but we finish them out on tender winter grasses before the animals are harvested. Since grass fed natural beef is becoming big the big comercial's have lobbied USDA and have managed to have influenced the wording and meanings in the labeling in food products. Not many people know that the USDA, who controls labeling laws for foods, yielded to the large beef operation's lobbing and now allow a label to read "grass fed" if the feed lot for the animals has a gate that is open to give the animals (access) to grass fields. Now I ask you, if the animal can eat all it wants at the feed bin, why would it go out to a field and have to work to get its meal. I ask, would you? Well it won't either! Be sure your grass fed meat is 100% grass fed and grass finished. Look for locally grown beef and support your local farmers/ranchers. That way the large conglomerates will have difficulty putting them out of business leaving you nowhere else to go. Just like Organic beef, our beef cattle are never given any growth hormones, implants, antibiotics, or feeds with animal by-products. However, our animals are not finished out on grain as some organic beef is. Reports show changes in the Omega 6 & Omega 3 balances occur when animals are finished out on grains. The grain of choice is corn which is high in omega 6 fatty acids. You know, it seems we get far too much Omega 6 in our diets these days with all the corn syrup, corn oil, corn fed chicken, corn here, corn there, everywhere a corn, corn. Ole McDonald had a corn, E-I-E-I-O. Ha! Ha! Couldn't resist! Our cattle are raised on grass and finished on grass; NO grain of any type. (See Eat Wild) you should read about benefits of grass-fed vs. grain fed beef. We also endeavor to use animals that have been DNA tested for the tenderness and marbling genes for the breeding animals in our beef program. This means that our animal's offspring should have the same traits as the parents. Selecting an animal with the most gene markers for tenderness means when the meat is aging in the cold storage the gene which is responsible for tenderizing the meat works its magic and gives you tender meat. If you have heard of meat which is guaranteed tender that you pay dearly for, these are the DNA markers that are used. The industry uses marbling measurements to grade the quality of an animal, (choice, prime, etc). 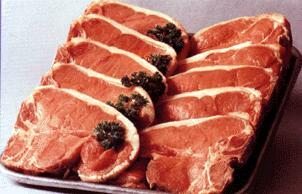 Marbling is thought by many to dictated the tenderness of the meat. Hence the perception by a majority of the public that marbling equates to tenderness. Not So! Think back, haven't you had a steak that was well marbled, yet it still seemed tough. Tenderness is determined by the animal having the tenderness gene and the amount of time the carcass ages, allowing the genes to tenderize the meat. Dry aging allows for evaporation of water in the meat concentrating the beef flavors. If mass marketed meat is harvested, butchered, packaged, and shipped out to the grocery stores not allowing the time for the gene to tenderize the meat, you still get tough steaks, even if the animal had the gene. By the way this is what is known as wet aging. They allow the meat to age in their own juices in a vacuum plastic bag during shipment. Hence, the number of times you get to eat a tender steak has declined hasn't it? I also bet you haven't had a steak that has that good beef flavor lately have you? That's because most beef is not dry aged. This takes up precious freezer space and time and that is expensive. That's also the reason you will pay $85+ a pound for a prime dry aged filet from the butcher. Marbling is when there is intra muscular fat; fat inside the muscle not just on the outside of the muscle. Marbling actually gives you that good feel in the mouth when eating the meat and adds to the flavor when cooking. We also try to use animals that have this allusive marbling gene that will allow the animal to have marbling from their natural diet of grass and not forced with copious amounts of corn and grains. However, animals with very many markers of this gene are not that prevalent. We do, however, have a bull with all 6 stars of the tenderness gene and 4 stars of the marbling gene. This is the animal that I am using at present for my breeding of beef animals at present. Many grocery stores have beef from feed lots similar to the one in the above picture to the right except much larger lots. This beef has usually had growth hormones injected into them and are fed copious amounts of grain laced with antibiotics to put weight on them fast and give the meat marbling just before harvesting them. They want the meat to grade (marbling) higher. Can you imagine what these growth hormones that help the cow gain weight does to us if that is transferred to us in the food chain? "They" say it doesn't affect us because it is not in the meat by the time we eat it. Me, I don't know, but I don't want to base my health on what "They" say, who ever "They" are. Oh! And "they" wonder why the populous is overweight. "They" never stopped to think that not only the growth hormones might have something to do with it but also the large amount of Omega 6 that is in grain fed animals may have something to do with America being overweight & unhealthy. Seems like now days you have to do your own homework and not take what "They" say as gospel. Hey, I'm not a scientist or a doctor. This is what I have come to. You do your own research and come to your own conclusion. But for me, I don't want to take what "They" say when I have Naturally raised and Naturally finished out beef when I don't have to. I made my choice! I eat what I raise. Cows are ruminants. Their stomachs are designed to digest mostly grass not grain. That is why we finish our beef Naturally on grass not grain and we DO NOT inject them with growth hormones to get them to gain weight fast or feed them genetically altered corn or animal by products. Our animals are raised on grass and finished on grass. It may take a little longer but it's worth it to get Premium Texas Gourmet HFW Beef™. Which, I think is Naturally better. Oh, did I say we eat our own beef? Well, we do and it's good! The treatment of the animal is the other factor in raising tender beef. We endeavor to treat our animals humanely at all times. If you would like to give our beef a try, I'm sure you will like it. To do so, go to the contact page and fill out the information. I will get back with you. We sell our beef in 1/4, 1/2, & whole animal packages and if a 1/4 is too much, split it with a friend. It is priced on a per pound basis on hot hanging weight, (bone included). After harvesting, the packers will weigh the carcass which gets the hanging weight. The meat is then DRY AGED for 10-14 days, (let it hang in the cooler). This is where the magic of the tenderness gene does it's work and it's also where some water evaporates out of the meat concentrating that good beefy flavor. After this, your package is then cut to your specifications, packaged, and hard frozen. We use a USDA processor in Muenster, TX which is where you pick up your beef when it is ready. 3. Here's a link to a U-tube about Food, Inc. which is commercialized food production. I had a customer tell me about it and it was quite interesting. To see animals for beef packages and prices click the button. If you would like information about our NATURAL, Grass-fed & finished Flavorful Texas HFW BEEF ™ with NO antibiotics or growth hormones added, send us an E-mail to find out about HFW's beef packages and current price.